One of the most common knee injuries people receive is tearing or spraining their anterior cruciate ligament (ACL). The ACL is a major ligament that helps to hold the bones together in the knee. This band of connective tissue also helps to keep the knee stable by limiting joint mobility while doing activities such as walking or running. A diagnosis of an ACL injury is determined by a physical exam and (or) X-ray, MRI or ultrasound imaging. Treatment varies with severity and may include rehabilitation or surgery. The rotator cuff is located in the shoulder and is made up of a group of muscles and tendons that serve to keep the upper arm bone firmly attached into the shoulder socket. Injuries to the rotator cuff are typically associated with repetitive movement that requires overhead motion of the shoulder. People who are susceptible to rotator cuff injuries are baseball pitchers, painters, tennis players, construction workers and seniors. There also may be a family history factor that can make a person susceptible to this type of injury. 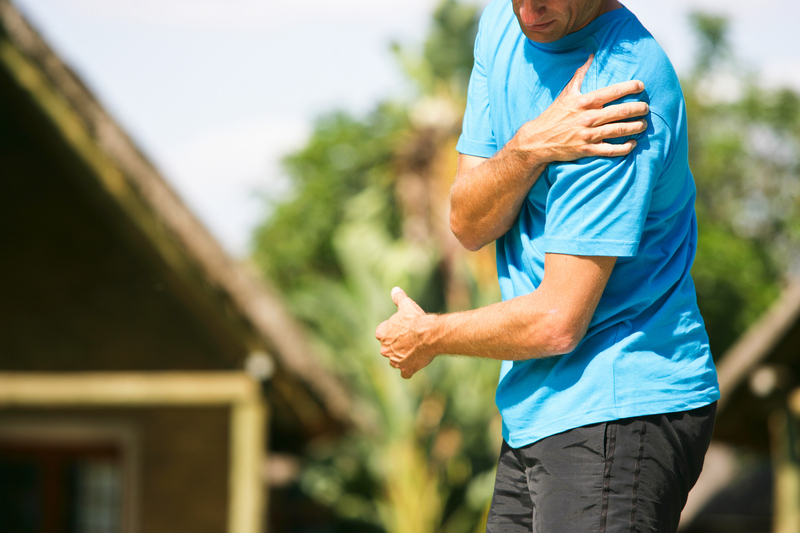 Rotator cuff injuries can be divided into three categories. Tendonitis is an inflammation of the tendons in the shoulder caused by overuse. Bursitis is an inflammation of the fluid filled sacs that are located between the bone and the tendons. Strains and tears of the rotator cuff are caused by an overstretching of the tendons that attach the muscles to the bone. One way to prevent a rotator cuff injury is to do stretching exercises every day to keep the muscles and tendons in good condition. Diagnosing a rotator cuff injury involves a thorough history and physical exam ,an x-ray to see if there is a bone problem or either an ultrasound or MRI. Failure to treat a rotator cuff injury could eventually lead to loss of mobility in the shoulder and degeneration of the shoulder joint. Treatment of a rotator cuff injury depends on the severity and nature of the problem. Short term use of an over the counter anti-inflammatory may help the symptoms. If the problem is caused by repetitive movement over a period of time, physical therapy which includes either applying heat or ice to the area and strengthening exercises may be one way to help the symptoms. A cortisone injection to the area will help to reduce the inflammation and usually that will help reduce the discomfort too. However, if there is a tear of a tendon, surgery may be required. 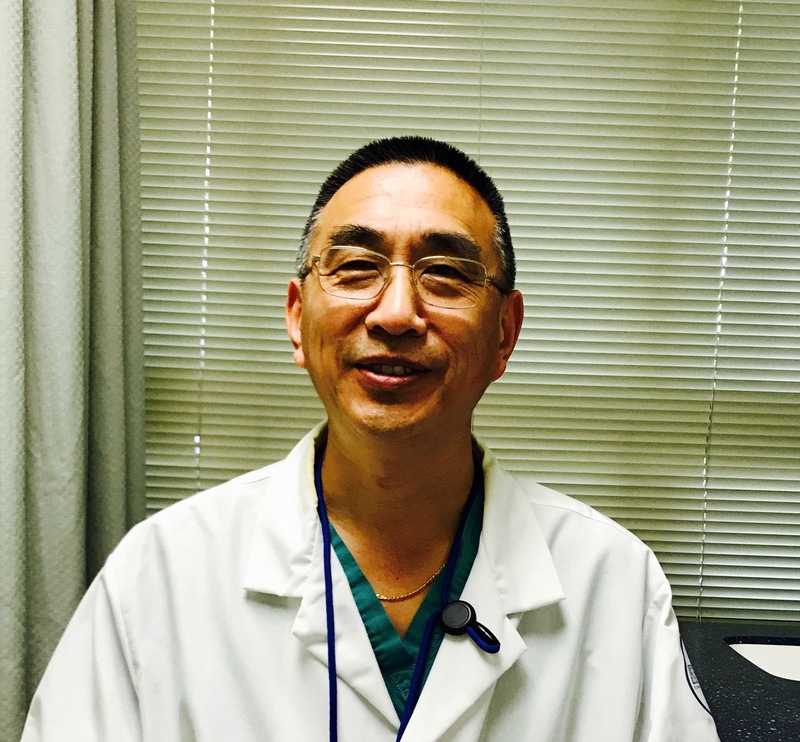 If you would like to schedule an appointment with an orthopedist at Flushing Hospital Medical Center, please call 718-670-5486. Scoliosis is a sideways curvature of the backbone (spine ). In the majority of cases, the cause of this curvature is unknown. However, there are cases where the curvature is due to a person having muscular dystrophy or cerebral palsy. Other causes of scoliosis include birth defects, heredity, and spinal injuries. Not all abnormal spinal curvatures are considered scoliosis. A non-structural deformity can be due to one leg being longer than the other. 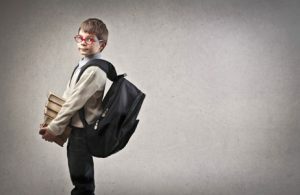 In general, girls have a higher risk of developing scoliosis than boys do. Many cases of scoliosis are considered to be mild and other than the spine having an abnormal sideways curvature, there is little impact on the body’s ability to function properly. In bad cases, the curvature of the spine may be so severe that it affects the chest cavity and causes problems with lung function and being able to breathe normally. It may also affect the heart’s ability to function properly. In order to diagnose scoliosis a physician will perform a physical exam that includes visualizing the patient’s posture, taking a family history, performing a neurological exam checking for muscle weakness, numbness, and abnormal reflexes. A series of x-rays will also be taken to confirm the diagnosis. Treatment of scoliosis is determined by the severity of the abnormal spinal curvature, the age of the patient, the location of the curvature, and whether or not the curvature is “C” shaped or a “double S “. In many cases no treatment will be required, only careful monitoring to see if the condition worsens over time. In cases that are moderate, a brace may be prescribed to prevent the worsening of the condition. Severe cases of scoliosis may require surgical intervention. This procedure involves fusion of two or more vertebrae and the use of either rods, plates and screws to hold the spine in place. If you think that your child may have an abnormal curvature of the spine, speak with your pediatrician about an evaluation. To schedule an appointment with a pediatrician at Flushing Hospital, please call 718-670-5486. A shin splint is a condition characterized by tenderness running along the tibial bone which is the large bone in the lower leg, also referred to as the shin bone. 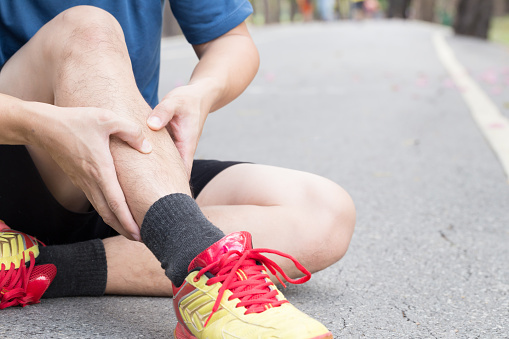 They are the result of an increased amount of repetitive activity, such as running, dancing, walking, or working out that causes the overworking of the tendons, muscles or bone tissue in the lower leg. Treatment of shin splints requires some time to heal. It is important to give the leg time to rest. In the acute phase, putting ice on the shin for 20-30 minutes every three to four hours for the first few days will help. It may be helpful to take an anti-inflammatory medication to ease the swelling and to help with the discomfort. It is also sometimes helpful to use orthotics, either custom made or over the counter, to give the foot support. Physical therapy is also very helpful to build up muscle strength and also to help ease the discomfort. Preventing shin splints is as important as treating them. Some of the things you can do to prevent them from occurring are stretching exercises, wearing good shoes, participating in activities that are low impact, add shock absorbing insoles to your footwear. If you would like to schedule an appointment with an orthopedic physician at Flushing Hospital, please call 718-670-5486. May has been designated National Arthritis Awareness Month and Flushing Hospital, along with the Arthritis Foundation want to raise awareness about conquering this disease. Arthritis is the leading cause of disability in America. It is not a single disease, but a grouping of conditions that affect joint pain. There are more than 100 different types of arthritis and related conditions. More than 50 million adults and 300,000 children have some type of arthritis. While arthritis can affect both men and women, it is most common among women and occurs more frequently as people get older. Common arthritis joint symptoms include swelling, pain, stiffness and decreased range of motion. Symptoms may come and go and can be mild, moderate or severe. They may stay about the same for years but may progress or get worse over time. Severe arthritis can result in chronic pain and inability to do daily activities. Arthritis can cause permanent joint changes. These changes may be visible, such as knobby finger joints, but often the damage can only be seen on X-rays. Some types of arthritis also affect the heart, eyes, lungs, kidneys and skin as well as the joints. If you think you have arthritis and would like to schedule an appointment, please call Flushing Hospital’s Ambulatory Care Center at 718- 670-5486. 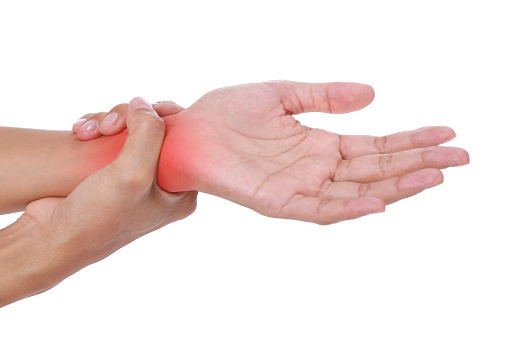 What Could Wrist Pain be Telling You ? Carpal Tunnel Syndrome is characterized by numbness, tingling, and weakness in the hand caused by pressure exerted on a major nerve and tendons in the wrist. The carpal tunnel is a narrow passageway on the palm side of the wrist through which passes the median nerve and these tendons. It usually starts gradually with numbness in the thumb, index and middle fingers that at first may appear to come and go and then as it progressively worsens, remains constant. Four out of the five fingers will eventually be affected, the little finger is exempt. It generally affects women more frequently than men. Compression of the median nerve can be caused by a few different factors. Some people have naturally occurring smaller carpal tunnels which can lead to increased likely hood of damage. Any damage to that area of the wrist can cause a problem. A previous wrist fracture or anything that may cause swelling in that area can lead to the problem developing. In addition, there are certain health related issues such as diabetes, hypothyroidism, and arthritis which can be associated with this condition. Treatment for carpal tunnel syndrome really depends on what the cause is and how severe it has become. If symptoms appear, never wait too long before seeking treatment options as this can lead to permanent damage. Some simple remedies include stopping any activity that may be compressing the nerve, putting ice on the wrist for 10 – 15 minutes once or twice an hour, taking anti-inflammatory medications to reduce swelling, and wearing a night splint to take the pressure off of the nerve. Some cases can be helped with injections of corticosteroids. When the condition is really severe, surgical intervention may be required. If you are experiencing the symptoms of carpal tunnel syndrome and would like to be treated by a orthopedic physician at Flushing Hospital, please call 718-670-5486. One of the most common orthopedic procedures performed today is a total hip replacement (THA) . This procedure is often suggested for patients who have extensive deterioration of the hip joint and whose quality of life is suffering. It was first developed in 1891 by a German physician, Themistocles Gluck, who described using ivory to replace the femoral heads. Early in the 20th century surgeons experimented with different types of tissues as a way of smoothing out deteriorating articular hip surfaces. Some of these tissues that were used were skin, and pig bladder submucosa. In 1925 an American surgeon, Marius Smith-Petersen, first used hollowed out glass placed over the femoral head. Later on this same surgeon started to experiment with stainless steel. In the early 1960’s, Sir John Charmley, an orthopedic surgeon in England, developed a hip replacement that uses three components: a stainless steel femoral head, a polyethylene acetabular socket and acrylic bone cement. This is considered to be a low friction arthroplasty and is the one most commonly used today. Today hip replacement surgery is done routinely on tens of thousands of patients a year. It is one of the most commonly performed orthopedic procedures and has greatly improved the quality of life for the patients. 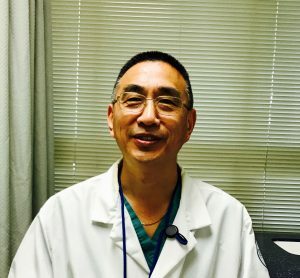 If you would like to schedule an appointment with an orthopedic surgeon at Flushing Hospital to discuss whether a hip replacement would benefit you, please call 718-670-5486 .